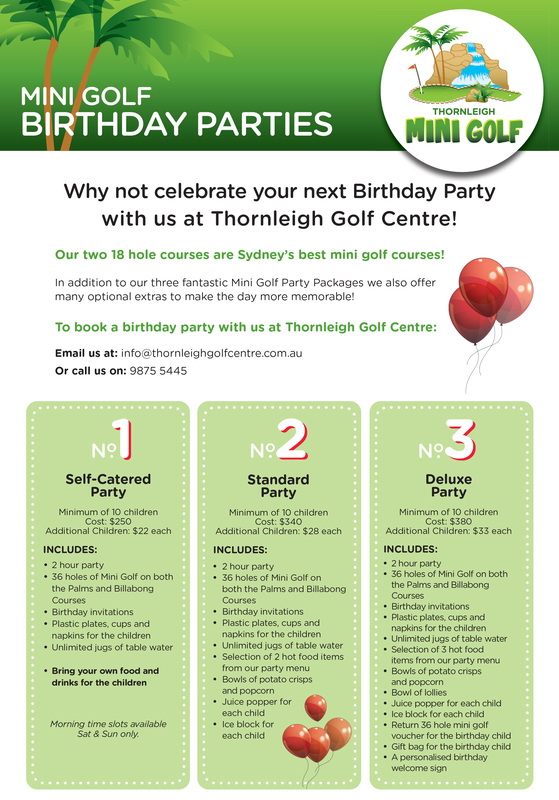 Why not celebrate your birthday with a mini golf party at Thornleigh Mini Golf! 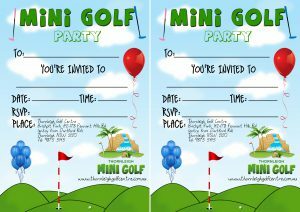 The perfect birthday is a mini golf birthday package for children and adults! Our two 18 hole courses are Sydney’s best mini golf courses! We have the Palms and Billabong mini golf courses to choose from. 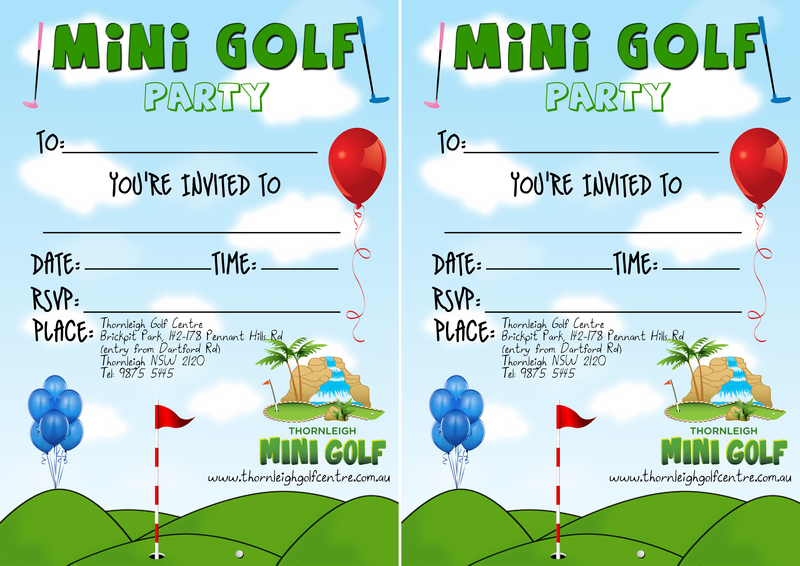 Our mini golf birthday parties are so much fun … and best of all … EASY and fuss free. We cater for all ages! 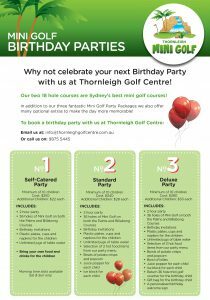 Thornleigh Golf Centre specialises in kids’ mini golf birthday parties and will help create what is sure to be an event that is remembered by everyone. Having a TGC putt putt party is a great way to celebrate your child’s birthday and make their day the party event of the year! Just let Thornleigh Golf Centre do all the work for you as you relax! There are a variety of party packages and menus that are sure to cater for any party guest’s age, skill or special requirements. Menus range from party snacks to hot food and even lovely share platters for the adults. 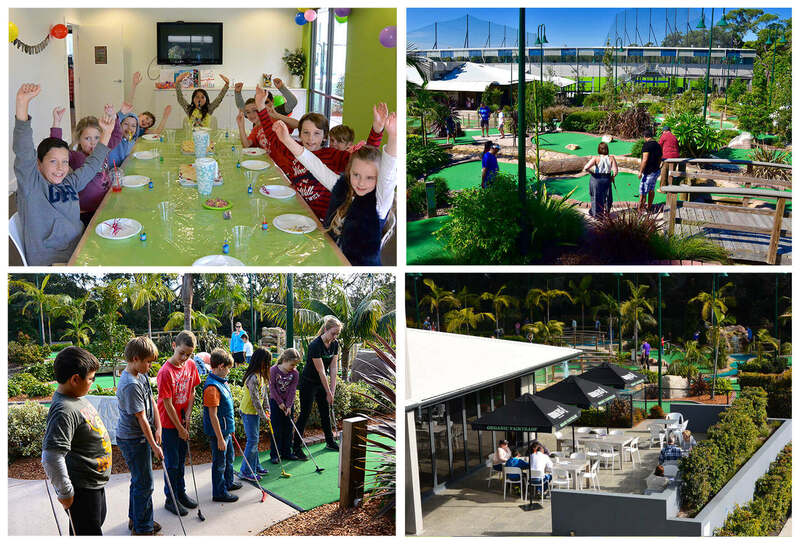 For younger kids, packages centre around a game of mini golf and a fun day out. In addition to the basic packages we offer some optional extras to make the day easier and more memorable. 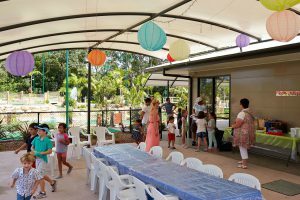 All the kids who have had parties with us have such a great time – we promote outdoor exercise, friendly competition, a birthday party room all catered for. Contact Us to book in your next birthday now!